Activ Solar announces the start of commissioning of the 29.3 megawatt peak (MWp) Voznesensk Solar Power Station. This photovoltaic (PV) installation is located in the south of Ukraine in Mykolaiv region spanning nearly 60 hectares. 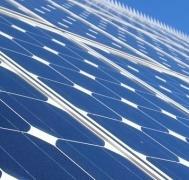 After Crimea and Odessa, Mykolaiv is the third Ukrainian region where Activ Solar has initiated the construction of solar parks. Voznesensk Solar Power Station consists of 121,176 multicrystalline solar modules and 27 inverter stations installed on a four-row mounting system. The power station’s electricity production capacity totals 35,000 megawatt hours per annum and will save over 28,000 tons of CO2 per annum. The execution of the project has created more than 120 construction jobs and 20 full-time operation jobs. More than 15% Ukrainian materials, technologies and equipment is used in accordance to the current local content requirement. “With our first utility project in the Mykolaiv region we are entering another interesting province in southern Ukraine. As Crimea and Odessa, Mykolaiv region offers favourable conditions for solar energy production.” says Kaveh Ertefai, CEO of Activ Solar. Mykolaiv region offers high levels of solar radiation, but lacks, like many remote areas in Ukraine, adequate, local, clean energy generation. Also, the region provides large flat land plots with no agricultural value, which are ideal for solar installations. Voznesensk Solar Power Station is the first solar PV installation finalized by Activ Solar in 2013.